Some sharks can actually look quite nice, but you just cannot say that about this version. As if that strange nose thing was not enough you also have to put up with some of the craziest looking teeth on any creature that exists on this planet. 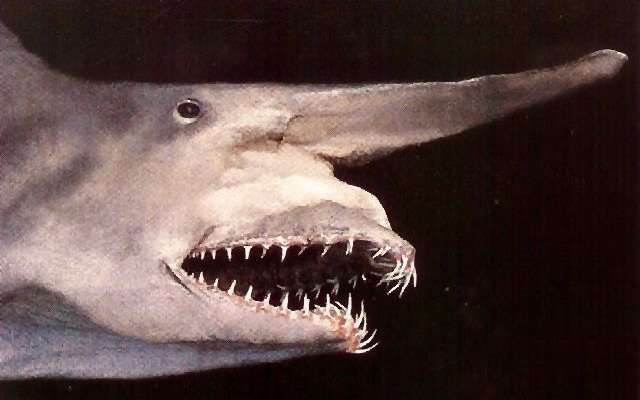 This is one ugly shark and the Great White must be ashamed to be related to it.